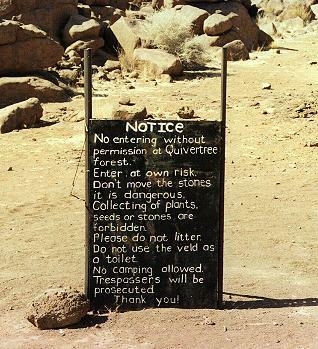 Quiver Tree Forest Camp is located 14 km north-east of Keetmanshoop on the road 29 in Karas Region. The place to stay when you visit the Quiver Tree Forest, about 14 km north-east of Keetman shoop, is the Quiver Tree Rest Camp, where you can see the amazing dolerite rock formations referred to as "Giants Playground". 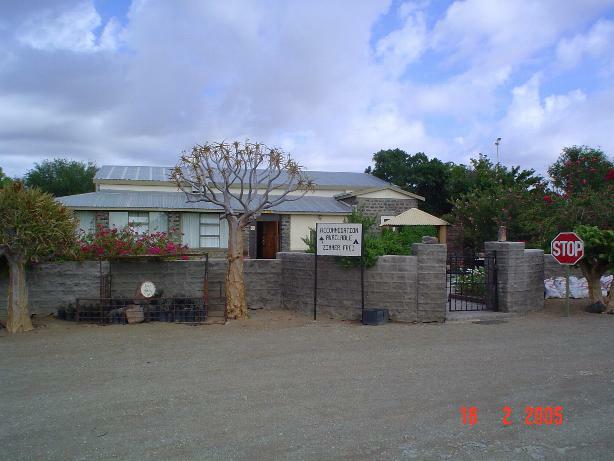 Accommodation consists of en-suite bedrooms, bungalows for self-caterers and camping sites with ablution facilities. Cheetah feedings and magnificent sightseeing. Guest House A: One lounge with mini bar and one fully equipped kitchen. Guest House B: One lounge with mini bar. Two double rooms, each with two single beds. 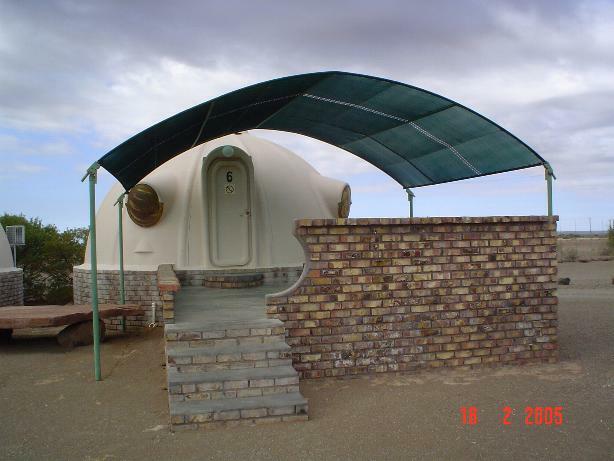 Igloo Bungalows: Three igloos each with one double bed and one single bed. Five igloos each with three single beds. Family room: One double bed and three single beds, private shower, WC, mini bar and air-conditioning. 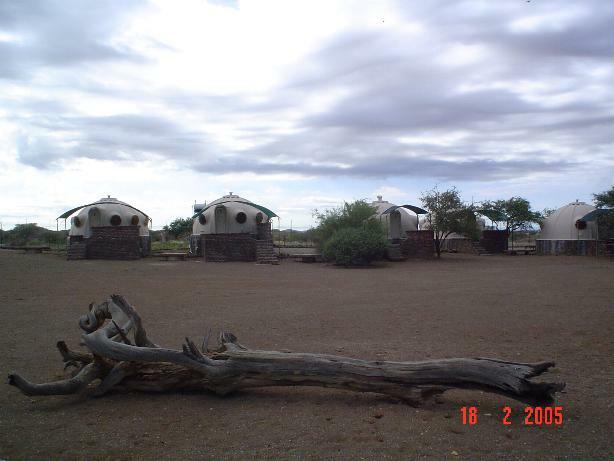 Camping sites: equipped with barbecue facilities, hot showers, WC and electricity. Self-caterers must be strictly self-sufficient in food.